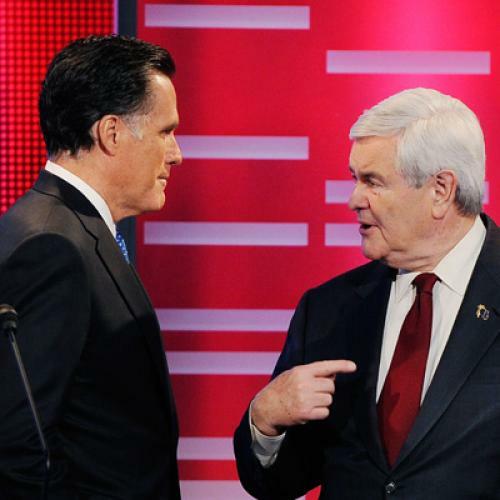 The Real Aim Behind Newt’s Bain-Bashing Video? I’m reluctant to call the 28-minute video attacking Romney’s Bain years, which the Gingrich super PAC plans to air in South Carolina, a full-on swift-boating. The video takes what was an ambiguous situation—Romney’s activities clearly cost jobs even if they benefited the economy, as Jon Chait points out—and gives it a very stark, one-sided portrayal. By contrast, the original swift-boat ads took what was a largely positive record of military service and transformed it into a damning indictment of John Kerry. Having said that, both episodes demonstrate how your personal biography is one of the elements you often control least in contemporary campaigns, maybe a bit counter-intuitively. Unlike, say, a politician’s previous time in office, there are usually too many credible-sounding sources to cherry-pick from when it comes to a candidate’s personal biography--sources who knew and interacted with the candidate but lack obvious partisan disqualifiers (on the one hand) or aren't constrained by partisan loyalties (on the other). There’s also often very little in the way of old media coverage to serve as a baseline for the new claims. And so, just like it was a mistake for Kerry to tout his biography as his chief qualification for taking on George W. Bush, it will probably turn out to be a mistake for Romney to have embraced that strategy this year. Could this be a dog-whistle-style appeal to South Carolina evangelicals already skeptical of Romney’s Christian cred? At the very least, it’s probably worth watching Romney’s poll numbers among those voters once the video airs.